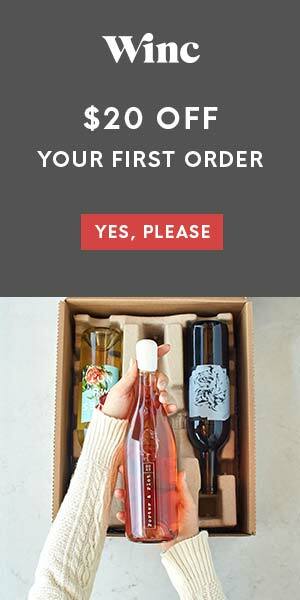 My first impression – Wow! 42BELOW Kiwi vodka really gets the grasp of the kiwi. The aroma is much stronger than expected with the sweetness of the fruit wafting to the nose rather than alcohol burn. Tasted chilled the freshness is clear. Imagery of an unsullied fuzzy kiwi fruit just before slicing instantly comes to mind. However, there is clearly no sweetness to this vodka. As the infused vodka sits for a moment the juicy scent of the kiwi fills the air with pleasant distinction. Ripe, perfect kiwi. The taste buds tickle and the mouth floods with anticipation. If you could only imagine a flawlessly ripened kiwi with its tiny black seeds and succulent emerald flesh waiting to be savored, appreciated for each minute detail of flavor as it converges with the palate; this is the treat your taste buds are in for with 42BELOW Kiwi Vodka. Asian Garden contains a light sweetness to it, but with a rather odd bitterness that remains long after the liquid has left the tongue. Sip after sip I could not put my finger on the culprit. 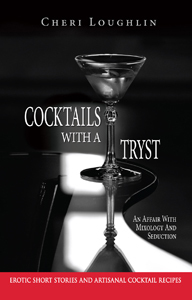 After all, each of the cocktail ingredients had an agreeable influence on the palate individually. 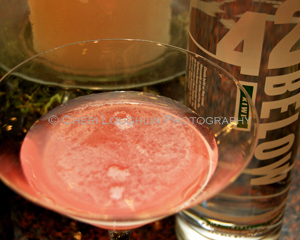 When I finally went back to the original sample shot of kiwi vodka neat the answer became clear. The bitterness lies within the kiwi aftertaste that I somehow missed in the initial sampling. Muddle lychees and lime leaves. 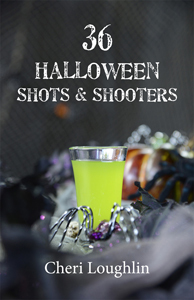 Add vodka, limoncello and juice with ice. Shake to blend and chill. Fine strain into chilled cocktail glass. Garnish with lychee slice. The Red Delicious looks in fact like a tweaked up Cosmopolitan with apple liqueur rather than orange liqueur. I happen to like the Cosmo recipe for the sheer fact it is so diverse and can be fine-tuned, modified, altered and topped off into a variety of scrumptious cocktails. The Red Delicious proves this point. The apple liqueur gives ample sweetness while the touch of lime and cranberry bring in the edginess that help take the bitterness out of the kiwi that I noticed before. My only recommendation for this drink is to up the apple liqueur a tiny amount and decrease the lime juice according to taste. Combine liquids in cocktail shaker with ice. Shake to blend and chill. Strain into chilled cocktail glass. Garnish with fresh lime twist. Place mint leaves, vodka, amaretto in cocktail shaker with ice. Shake to blend. Pour into highball glass. Top with pear juice and additional ice if needed. Garnish with mint sprig. 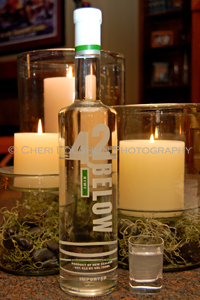 42BELOW Vodka sample for review courtesy representatives of 42BELOW Vodka representatives. All opinions, reviews and spirits’ coverage contained within are the personal opinion and decision of Cheri Loughlin, The Intoxicologist. 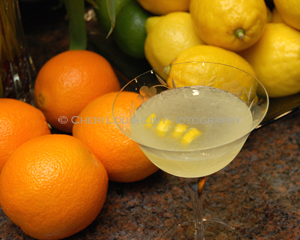 Cheri Loughlin is a leading cocktail and photography resource for beverage companies, event planners, businesses and individuals. 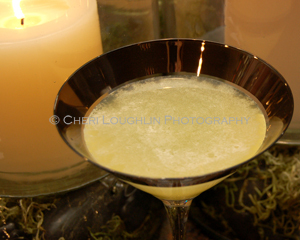 High resolution cocktail and beverage stock photography images are available in downloadable digital format in the newly redesigned Stock Photography Gallery at www.cheriloughlin.com.